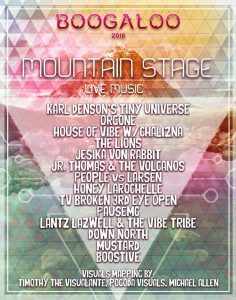 Joshua Tree’s Jesika von Rabbit has been added to this year’s Boogaloo Music and Art Festival, in Oak Canyon Park, Silverado CA., playing the Mountain Stage on Friday, April 29 at 5:30 PM. The Boogaloo Festival is a music, art, yoga fest featuring live music, DJs, art installations, live paitning, food, a kids zone and much more. the Boogaloo Festival website can be found here, the Boogaloo Facebook page is at this link and, while you are clicking links, the check out the Boogaloo 2016 Facebook event page. von Rabbit will be performing in Tarzana, CA on Saturday, May 7 at the Maui Sugar Mill Saloon with The Hellflowers and The Freedom Ledges. 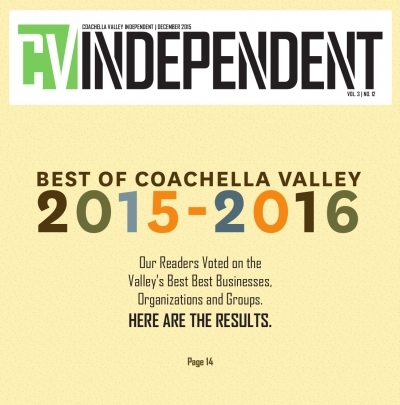 The Maui Sugar Mill is located at 18389 Ventura Blvd. Tarzana, CA. Maui Sugar Mill’s Facebook page can be found here, and the May 7 Facebook event page can be found here. If you haven’t yet, check out Jesika’s newest video “Looking for a Weirdo” at this link, as well as her appearance in Cindy Lauper’s video for her cover of Wanda Jackson’s “Funnel of Love” (shot at von Rabbit’s home base, Pappy & Harriet’s in Pioneertown) at this link. 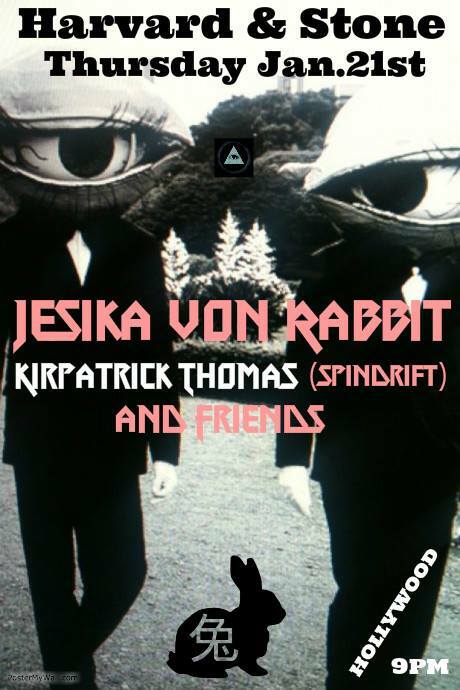 Jesika von Rabbit has also been added on the Campout XII festival in Pioneertown, August 25-27. Dates and stage times TBA. 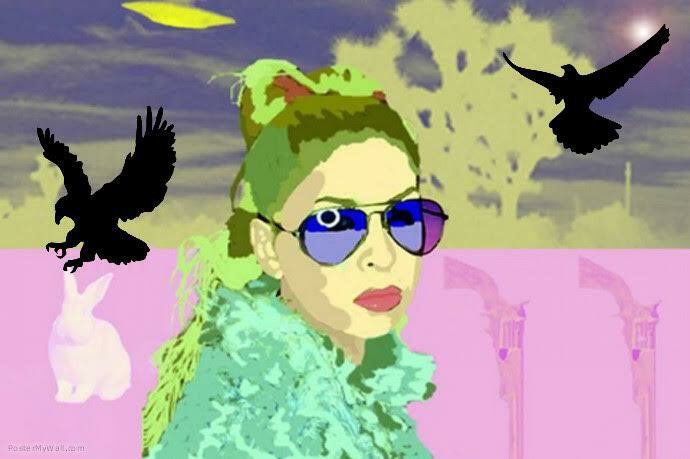 Watch for the digital release of a new von Rabbit Song soon! 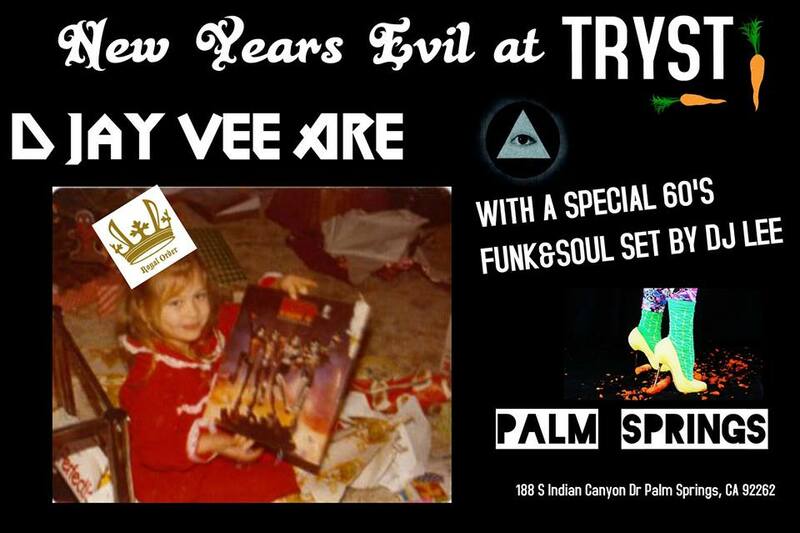 Jesika von Rabbit Psychic Spice live in Bham! 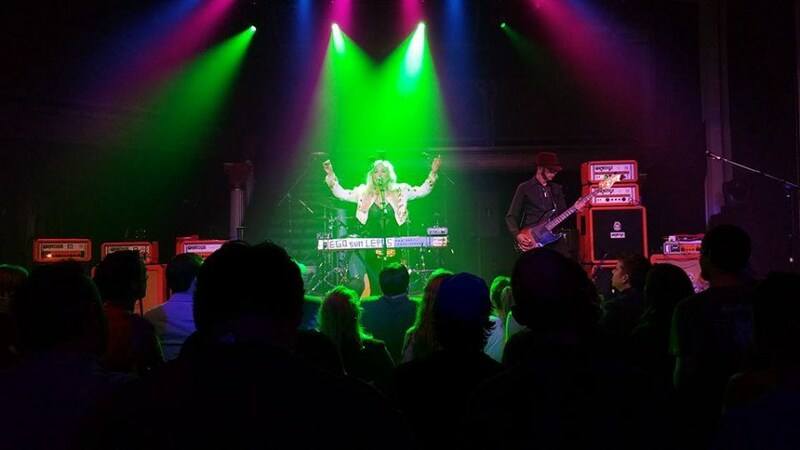 An excellent live video of Jesika von Rabbit performing “Psychic Spice” with The Grundles and Lee Joseph on bass has popped up on YouTube – this performance was shot at Iron City in Birmingham, Alabama on 9/25/15 which was the last of their September dates on the EoDM “Zipper Down” tour. Check it out – turn it up!! In September, Jesika von Rabbit, bassist Lee Joseph and von Rabbit’s dancers The Grundles opened 12 sold out shows for Eagles of Death Metal’s “Zipper Down” tour in the mid-west, south and East Coast. The packed rooms all responded enthusiastically to von Rabbit’s set which included songs from her recently released “Journey Mitchell” album (self released CD and Digital, vinyl LP on Dionysus Records), a twisted, searing industrial electro version of Garth Brooks’ “Friends in Low Places” and a couple of von Rabbit’s country songs which were recorded by Gram Rabbit. HM157 feels very fortunate to still be standing after the horrific May 1St Fire. Rumor has it that it was the Devil who spared the house* Halloween being their all time favorite holiday. 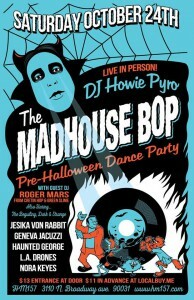 The venue is putting on a monstrous pre-Halloween costume dance party where you will lose your mind! The winner of the costume contest will recieve FREE ENTRANCE to all HM157 events for a full year! and on Halloween Weekend, Gram Rabbit will perform their 11th annual Grim Rabbit Halloween Ball at Pappy & Harriet’s in Pioneertown. 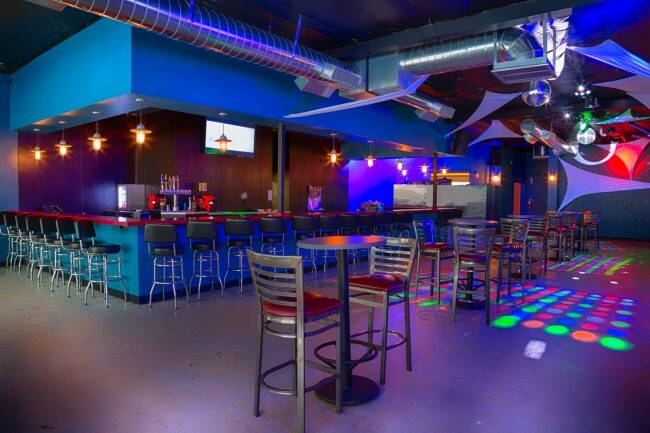 On October 30, Spindrift will be opening and on the 31st Misfits cover band Astro Zombies will be opening. More information and tickets can be found at this link. Queen of the High Desert, Jesika von Rabbit, will be supporting Eagles of Death Metal on the Midwest / East Coast leg of their 2015 worldwide tour. 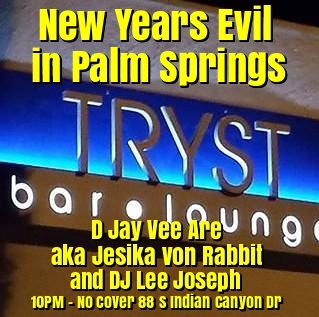 von Rabbit will be performing songs from her recently released Journey Mitchell album. Prior to the Eagles of Death Metal dates, von Rabbit will grace her local desert following with two shows, including the Campout 11 fest with Cracker and Camper van Beethoven at her home base, Pappy and Harriet’s. von Rabbit will re-unite with Gram Rabbit in October for four shows with Eagles of Death Metal before playing their annual two-night Halloween ball at Pappy & Harriet’s. Also, von Rabbit will have a new video out this fall for the track “Glamorous Misery” directed by Jessica Janos who also directed von Rabbit’s “Psychic Spice” video, both from her Journey Mitchell album available via digital from iTunes and Bandcamp, via LP on Dionysus Records and via CD from Royal Order.